The iPad Is Like Holding The Future. But Only Because I Graduated From iPhone School. When the iPhone first launched in 2007 I was sure I wasn’t going to buy one. Then I played with one. 15 minutes later I was $600 poorer. It was arguably the best tech purchase I’ve ever made. After the Apple event today, I got a chance to play with the new iPad for quite a bit of time. My takeaway? The thing is beautiful and fast. Really fast. If you’ll excuse my hyperbole, it felt like I was holding the future. But is it a must-have? That’s a complicated question. The quick and dirty answer is: for many people, right now, no. Unlike the iPhone, which filled an already well-established need (cellular telephone usage), there is no existing need the iPad fills. That is, unless you’re an iPhone or iPod touch user. If that’s the case, the iPad does fill a couple of needs — it’s the best way to use apps, and more importantly, the best way to browse the web in a style that is likely your preferred method: by touching it. That’s the key that Apple only hinted at today. 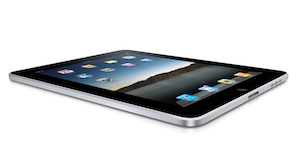 When it launches, the iPad’s initial target audience is iPhone and iPod touch users. Why? Because they are already very comfortable with the way you need to interact with this device. The moment I picked up the iPad today I knew exactly what to do with it. It was second-nature. It was the iPhone, only larger — and that felt good. Meanwhile, I watched some other people who said they didn’t use an iPhone regularly interact with the iPad for the first time and it was not nearly as seamless. Towards the end of his keynote, Steve Jobs alluded to this idea when he said that the 75 million iPhones and iPod touches that have already shipped ensure that those users will already know how to use the iPad. During the hands-on demos, two different Apple employees said basically the same thing. “If you have an iPhone, you already know how to use this,” one said. 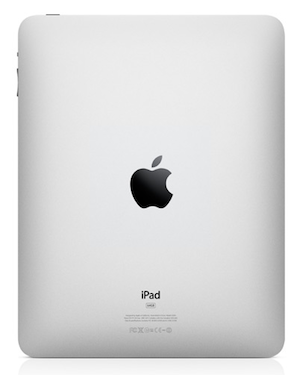 There has been much talk leading up to the iPad’s debut as to what its exact purpose would be. A lot of the buzz was that it would be a killer new way to consume print media. Apple did play that up a bit today, but not as much as you may have expected. They did devote a good amount of time to the new iBooks app and store, but if you think anyone is going to buy this thing just to be an e-reader, you’re mistaken. In fact, a lot of the Kindle/iPad comparisons now just seem a bit odd. Comparing the iPad to the Kindle now sort of seems like comparing a computer to a typewriter. Having scrolled through a few books on the iPad today, there’s still definitely an argument to be made that the Kindle has an advantage in the one thing it does (thanks to e-ink). But the key point is that it only does the one thing (and those Kindle apps won’t help that much because the device is way too slow) — as many of us have long suspected, it’s going to be relegated to a feature of a device that does more. And that’s exactly what Apple is doing with the iPad (which we correctly translated Jobs as saying back in September when everyone else seemed to think he said he would never do anything with eBooks). And more functionality is important because it gives Apple more ways to lure new users into this style of computing. But again, the first of those are going to be iPhone and iPod touch users because they will be the most comfortable with using the device. And as that user base keeps expanding, so too will the base of those that are interested in the iPad — many just don’t know it yet. The thing is, as a heavy iPhone user, I immediately recognize the iPad’s appeal. If it can perform anywhere close to the promised 10 hour battery life, I’ll likely ditch carrying around a laptop most of the time and simply take an iPad with the keyboard accessory. The thing is that snappy — and, at a pound and a half and a half-inch thick, the weight and size savings will be substantial. Oh, and at $30-a-month for unlimited data (yes, sadly through AT&T), I can ditch my $60-a-month laptop 3G card. Does it have Flash? No. But while that used to be an issue for me when the iPhone first launched, I never think about it anymore. All of YouTube is available through the YouTube app, and I’d bet that sooner or later we’ll see a Hulu app as well. So what am I really missing with Flash? Browser crashes, eaten CPU cycles, and some Facebook games? Good riddance. What it comes down to for me is that when I don’t need to do something that’s typing-intensive (like writing), I’d much prefer to use my hands to move around applications and browse the web. The iPhone has taught me that. Meanwhile, the rapid movement of data to the cloud has taught me that I have next to no need for most desktop applications anymore. In other words, I’m perfectly primed for this device. 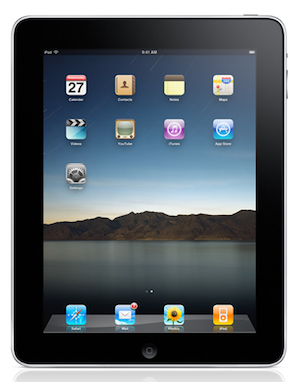 The iPhone and the iPod touch have in a way served as training wheels for us to use this new type of device, the iPad. To a lesser extent, so have Apple’s multi-touch trackpads and the new multi-touch Magic Mouse. All of these devices are pointing towards what Apple obviously believes is the future of computing: touch. That is more clear now than ever before — the iPad is their biggest step yet.